Designed and oversaw development of three creatures for a short fantasy film about an apprentice witch learning to defend herself from the things that go bump in the night. Movie is currently in post production. The Imp - Carved foam hand puppet. Provided initial character designs. 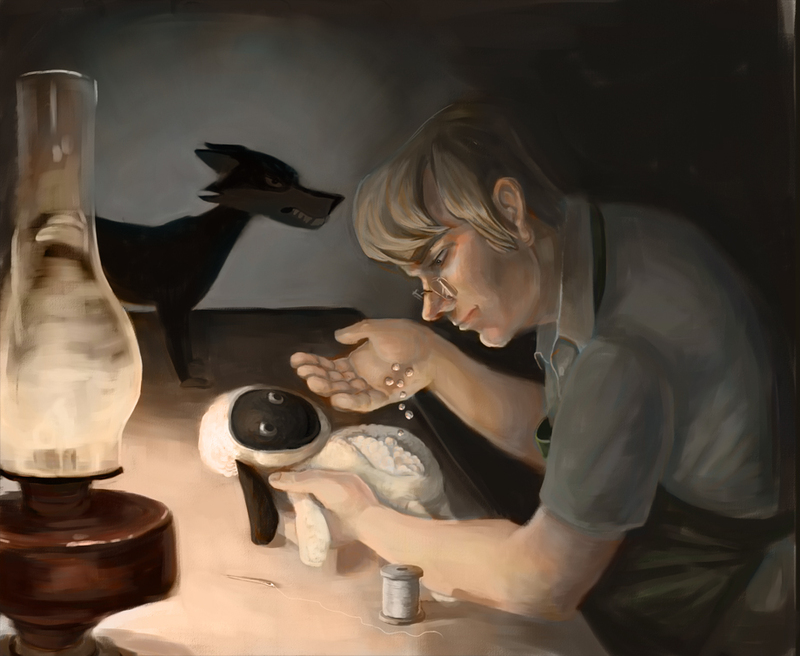 Worked with puppet builder throughout the process to ensure the character met the artistic needs of the piece. Character initially appears evil, but is later revealed to be good. Directed puppeteer on set, working on performance and voice. Built and performed by John E. Kennedy (Sesame Street, Muppets). 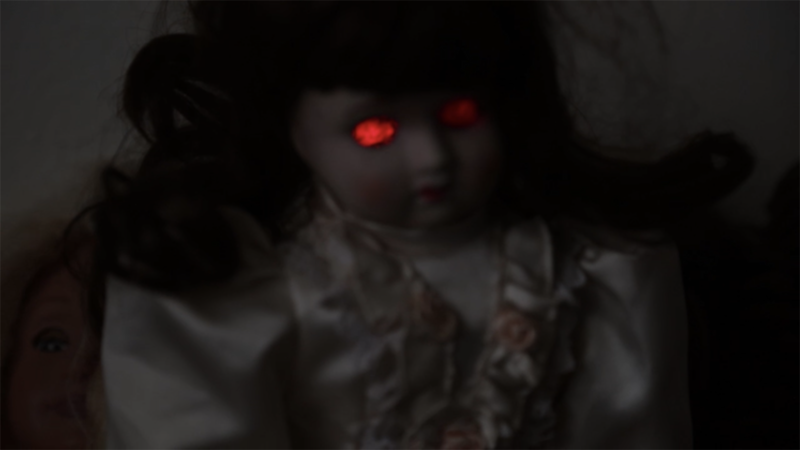 The Evil Doll - converted a porcelain doll into a puppet. Modified arms and legs to move, replaced eyes with dimmable glowing LEDs. In addition to designing the character, I was the primary builder, with assisstance from John Kennedy, and performed the puppet in several shots. In addition to the three creatures, I also worked closely with the Art Director on costume design for the two human characters. Worked as a designer on Madden NFL's first cinematic story mode. Longshot contained over 3 hours of cinematic content, built with Motion Captured animation data from a cast of award-winning actors. Wrote branching narrative scenes, focusing on character interactions, and how player choices affect character relationships in the story. When the director needed to invent scenes that were not in the original plan, he would turn to me. I combined animations from our library of mo-cap animation to create scenes of character interactions. In addition to choosing, combining, and tweaking animations, I also animated the cameras for several of these sequences. Coordinated scripts and shooting order for a live action shoot at the 2017 NFL Draft working with NFL Network talent using their sets, equipment, and staff. Was on hand during the shoot to make sure we filmed all the pieces needed for a complex branching narrative sequence. Telltale Games is recognized as the leading creator of interactive cinematic entertainment. I started as a gameplay programmer working on The Walking Dead: Season 2, The Wolf Among Us, and Tales From the Borderlands. Due to my background working in film and stage, I was soon moved to the newly created role of Cinematic Technology Engineer. In this role I built intelligent automatic lighting and focus systems for Game of Thrones. I was soon working closely with the studio Art Director, Lighting Director, and Cinematics Director to build tools to help them create content faster and at higher quality than ever before. Was hired on this team because EA's Central Football Gameplay team was looking for an experienced programmer who also understood character animation. I had over 10 years of programming experience, and had attended Animation Mentor's online Character Animation school, so was a natural fit for the role. Worked in EA's proprietary animation tool, ANT, to build character interactions for EA's American Football games (NCAA Football and Madden NFL). Pushed the animations and physics engines so that characters slamming into each other would hit hard, creating big, theatrical moments dynamically, while still feeling realistic. When we showed EA's Central Character Physics team the system I built using their engine, they setup a company-wide presentation to teach it to other teams. I was on-hand during this presentation to answer technical questions. A children's picture book based on my award-winning short film of the same name. I was approached by indie-comic publisher Blue Juice Comics, Inc., who were looking to branch out beyond comics and wanted to turn my film into a picture book. Wrote a manuscript, based on the film, deciding on what text and images should appear on each page. Worked with publisher to find and hire an illustrator to execute on my designs. Worked closely with the illustrator on character design, mood, and the color script of the book. Created look book and character design sheets, to ensure the characters had the right feel for the book, while still remaining true to their original designs from the movie. Two film series featuring a puppet dog and his 3D animated sidekick, who rescue princesses professionally. Created, designed, and oversaw creation of several characters for these films, which combine live action, puppets, hand drawn animation, and CGI. 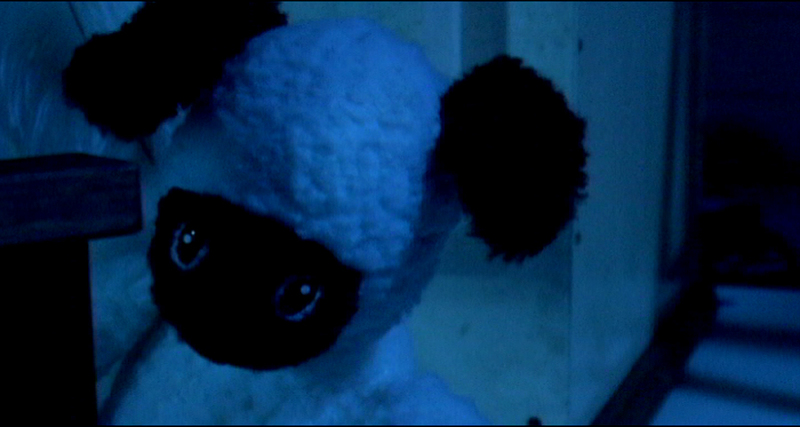 The first film in this series appeared in Heather Henson's Handmade Puppet Dreams series. Pupsock Jackson - main character of the series. 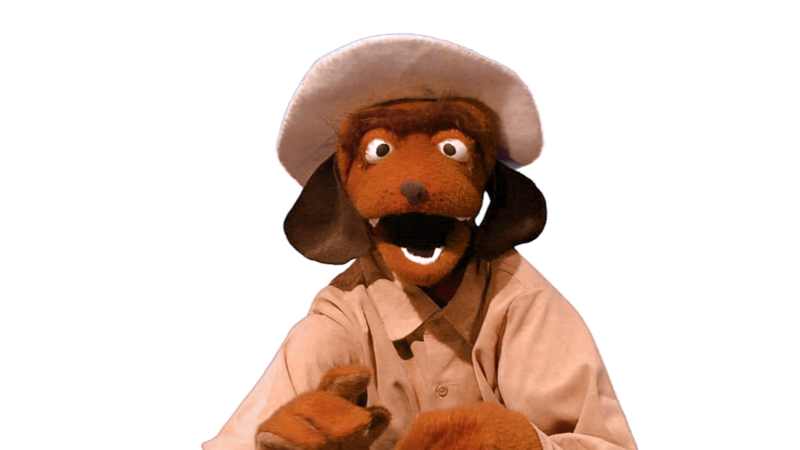 A puppet dog with an Indiana Jones complex. Created several sketches, worked with puppet builder on the look and feel, and oversaw building. Directed performance, both on set with puppeteer and in the recording booth with the voice actor. 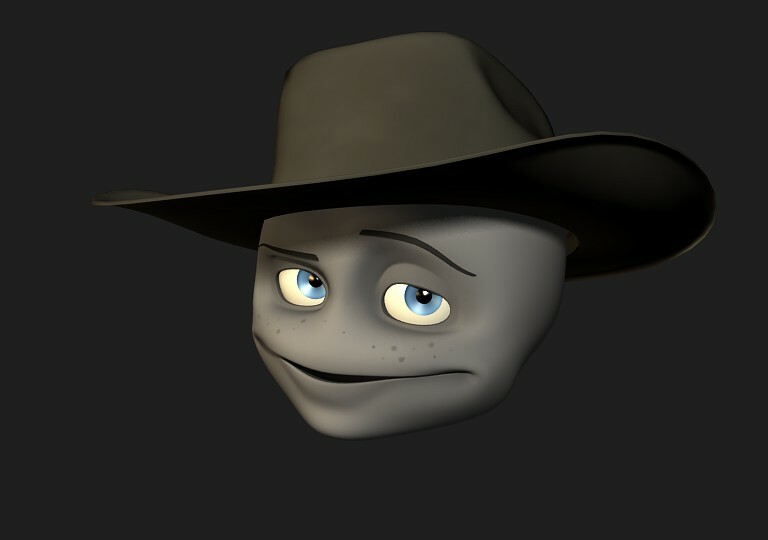 Wendell - Wendell is a CG floating ball character who wears a cowboy hat and has detached floating hands. Worked with modeler and rigger to create the CG character. Performed the voice and did all animation for the character, as well as all compositing into live action footage. Goliath was a 12-foot-tall puppet built by John Kennedy for a different show, and used as the final villain in the second PaW film. This was performed by a team of 3 puppeteers. I directed the lead puppeteer, who then worked with his team to execute the performance. Giacomo - Giacomo was a hand-drawn animated character, the villain of the first movie. I designed the character, and worked with the animator on each shot to direct the performance and keep the character design true. Short film written and directed by John E. Kennedy, and produced by Heather Henson for her Handmade Puppet Dreams series. John had long dreamed of creating a film where puppet characters danced with animated legs, but he couldn't find anyone to help him realize this dream. I was able to help him create this effect, as well as shoot the movie and do all the FX, compositing, and creation of a digital world created using miniatures built by John. 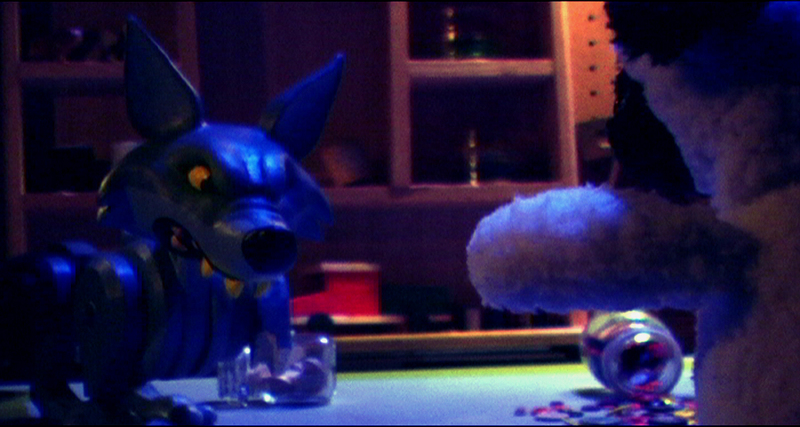 Internationally acclaimed short film combining puppet characters with live action. Designed two puppet characters, and oversaw their development. Appeared in Heather Henson's Handmade Puppet Dreams series, and played as part of the HMPD screenings at the Smithsonian during the Jim Henson's Fantastic Worlds exhibit. 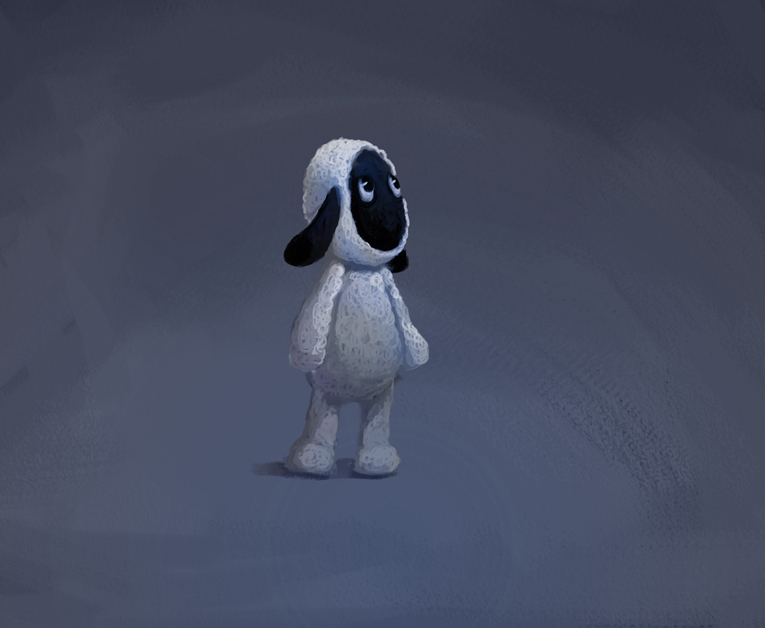 Dudley - a plush toy-come-to-life puppet character. This character was inspired by a childhood toy of mine. I designed the character to evoke the feeling of the original toy, but with a unique design that had more appeal, and worked better to convey emotion on camera. The character does not speak, so expressive eyes and subtle movement were very important to convey emotion. Worked very closely with the puppet builder and puppeteer to ensure everything looked just right. 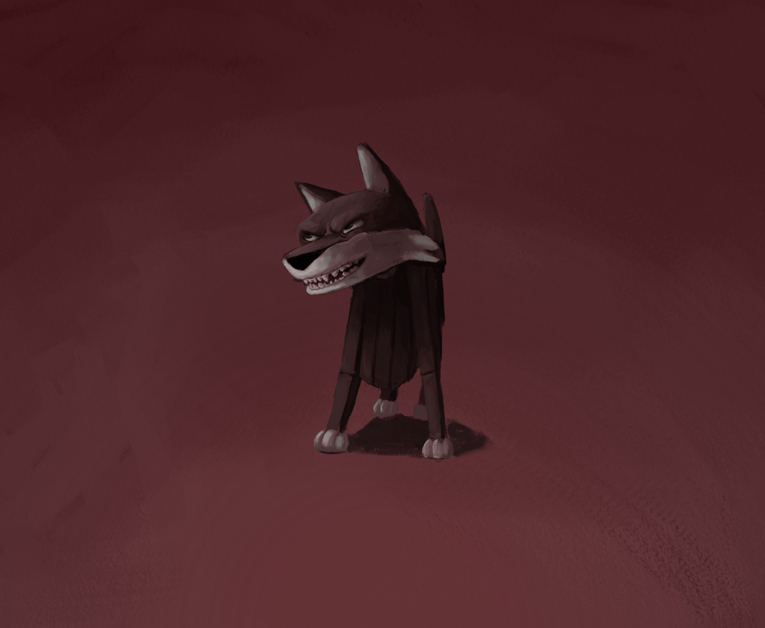 Silas - a wooden wolf toy, also a puppet. This character was designed to be the opposite of Dudley. Dudley was soft and fluffy, with gentle curves and a handmade feel. Silas was wooden and sharp, with hard lines and a manufactured feel. Worked with a character designer to iterate on his design, before handing over to a puppet builder. Worked with builder, altering the design as it was built to deal with physical realities, while still maintaining the vision for the character. Worked with several friends and clients on various projects. Doing animation, compositing, motion graphics, producing, directing. Whatever they need to help bring their visions to life. I maintain daily creative habit. Generally this involves writing novels, but also can include performing animation, editing, etc. on various film projects, either for myself or my friends.